Owners Kristina and Darin Frantz hanging the coming soon sign. Darin tells Owassoisms that they hope to open sometime between the first of July to the first of August, depending on how fast permitting goes. 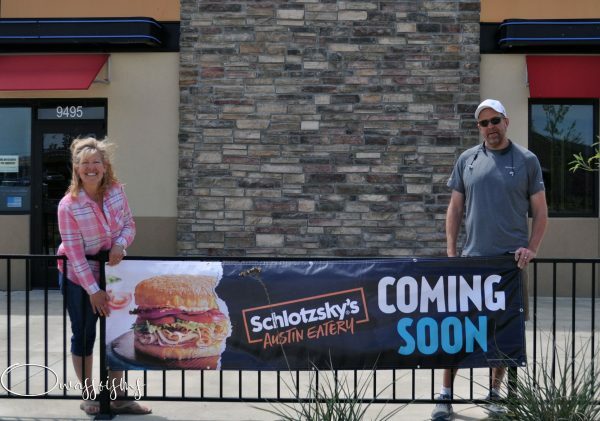 The “Austin Eater” is Schlotzsky’s re-branding themselves. They still offer the same great food with some excellent additions. The look and feel of the restaurant has been completely redesigned to mimic the store’s roots in Austin, Texas better. It has more of an edgy, bold color atmosphere with several seating options. They now offer beer and wine and provide live entertainment on certain weekend nights. 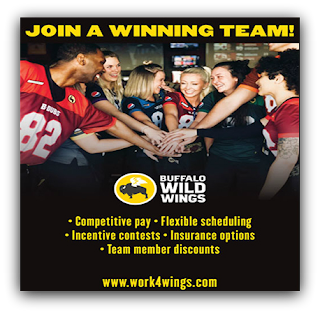 There are some fun promotions planned for the Owasso opening, and we will bring you that info as the opening draws closer.